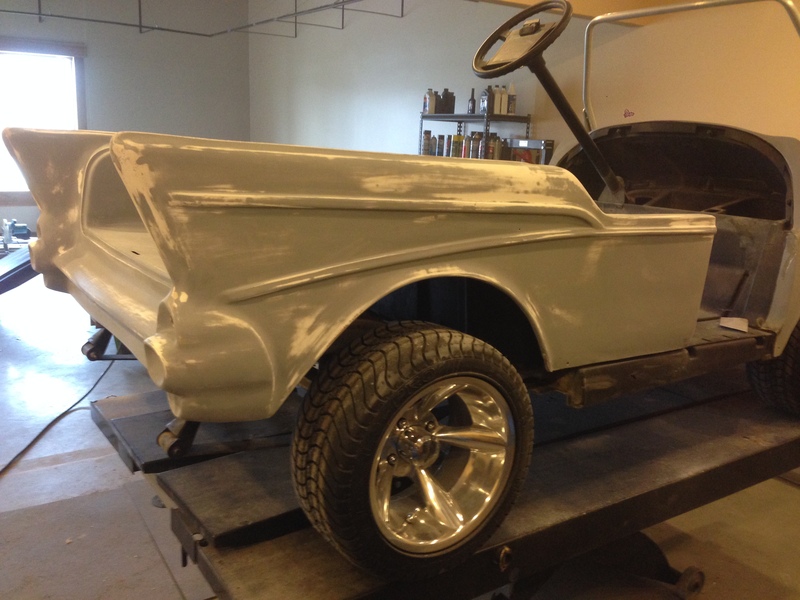 We’ve been busy this past week on the 57 Belair golf cart build and have some awesome deets to show you! 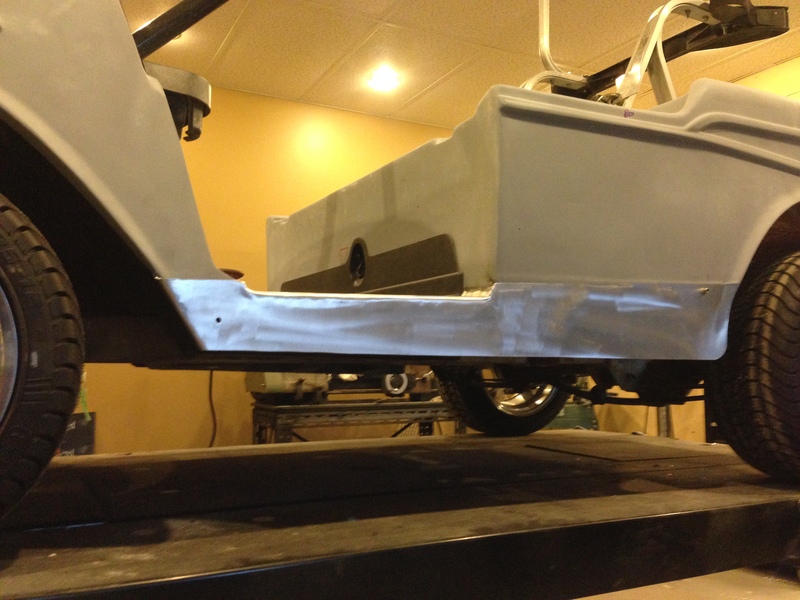 We completed all of the fab work for the cart this week and started on the Brandywine paint and OH MAMA, is it ever nice! 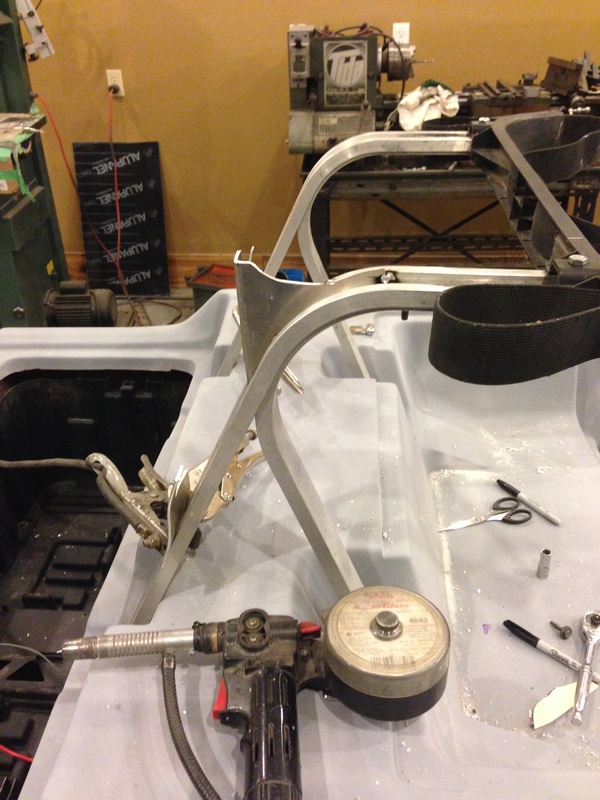 In order to get the wheels centered on the Belair body we needed to make some modifications to the suspension, here we had to fabricate new shock mounts. 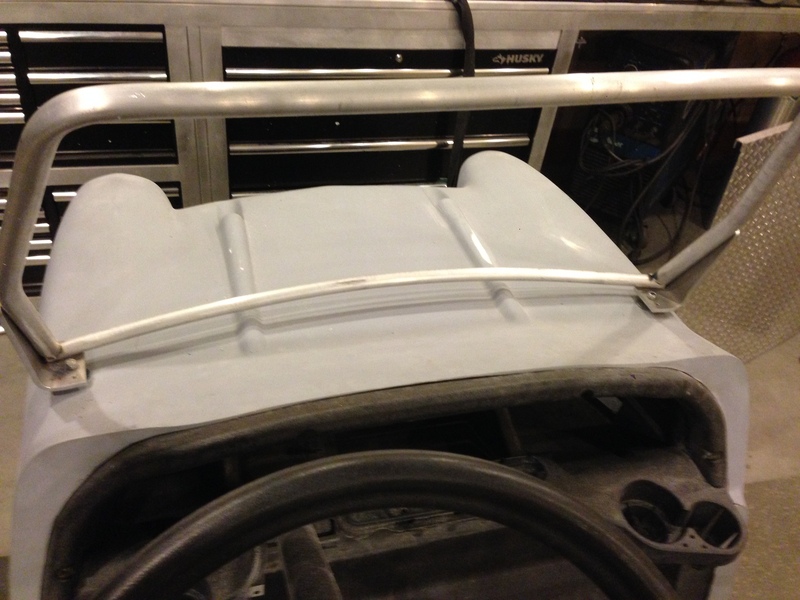 We also fabbed up a rear set of body mounts as well. 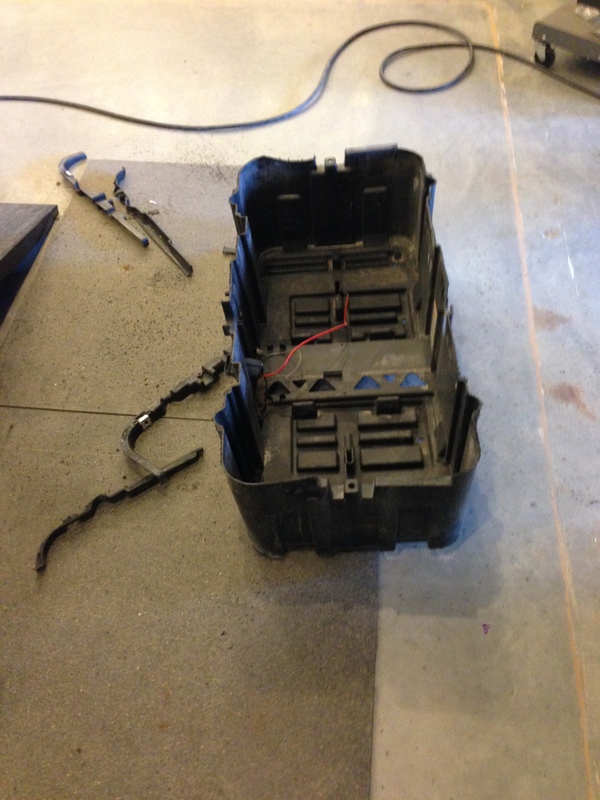 Next we had to modify the stock Precedent battery box to fit within the fiberglass body. 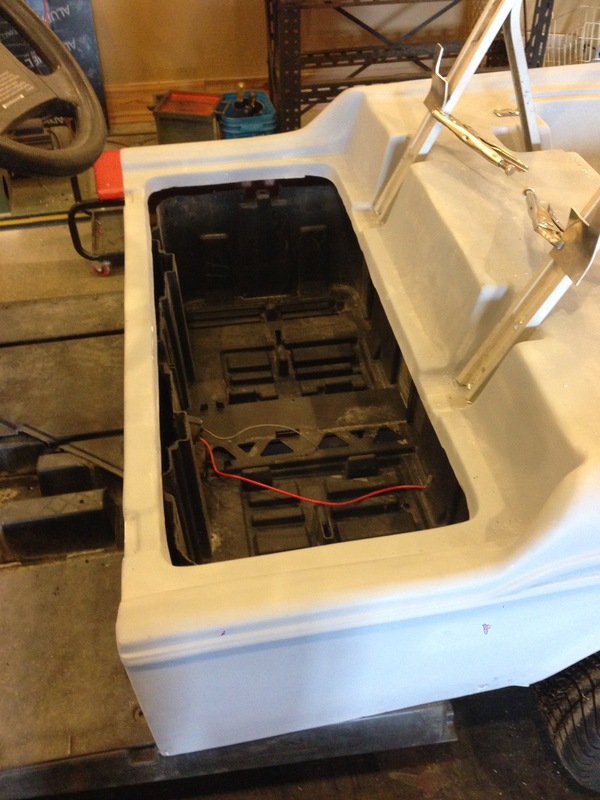 Snug as a bug, we got it the battery box fitting up perfectly. 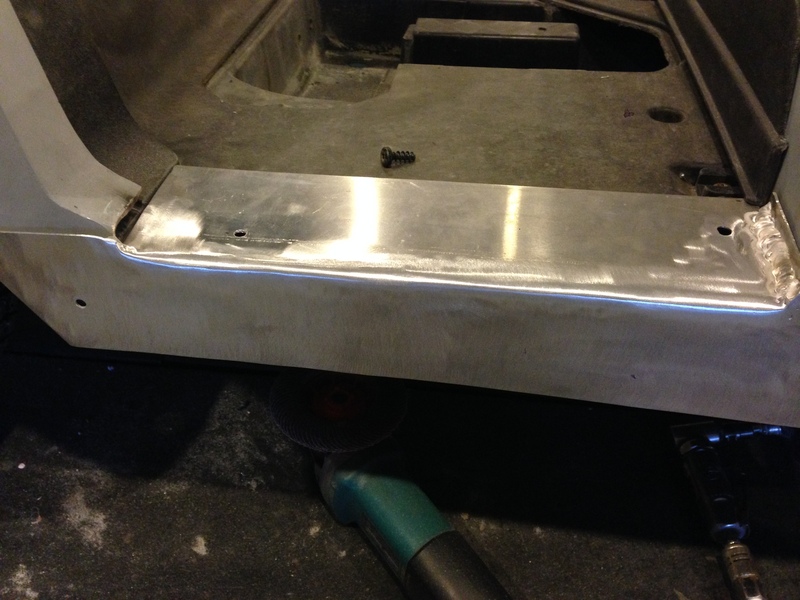 Before we prepped the body we wanted to make sure that everything was going to fit properly, so we final welded the custom rocker panels. 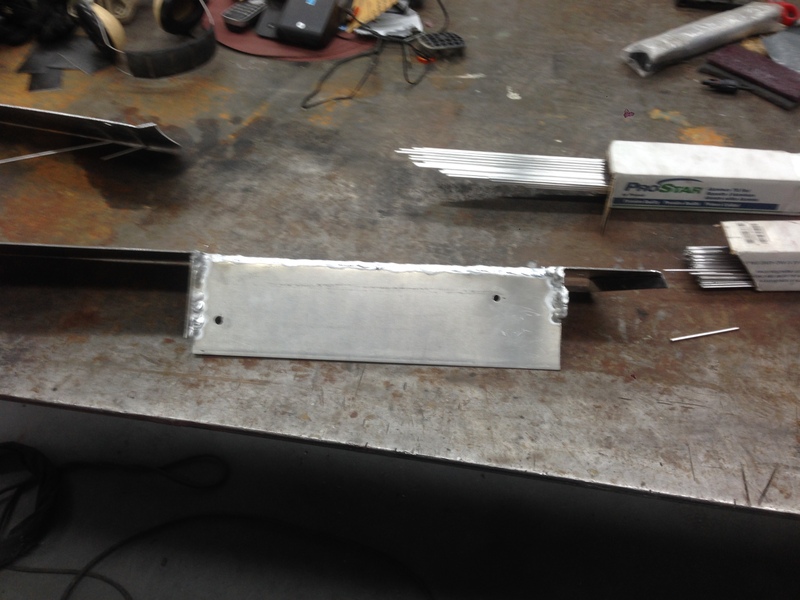 Here they are all tig welded up. 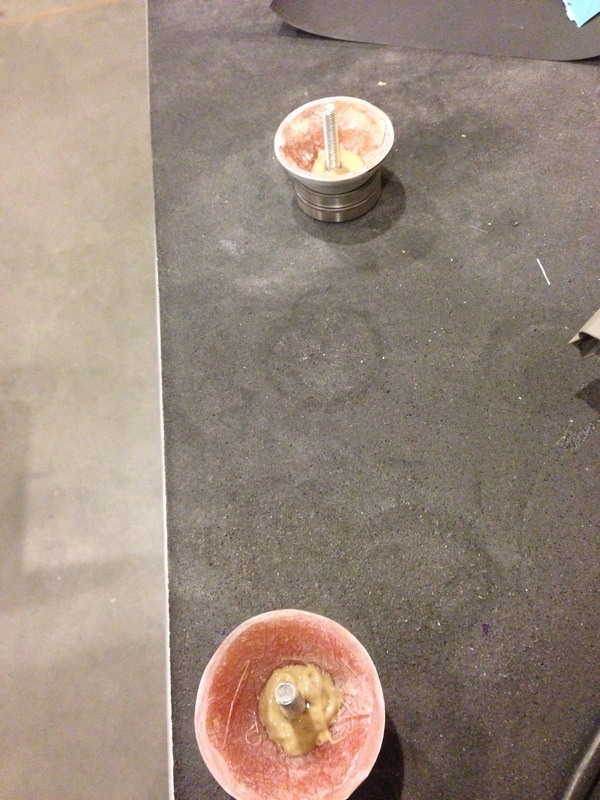 With a bit of grinding and smoothing we have them looking as if they were one piece. Final fit and off they come. They are off to be final sanded. 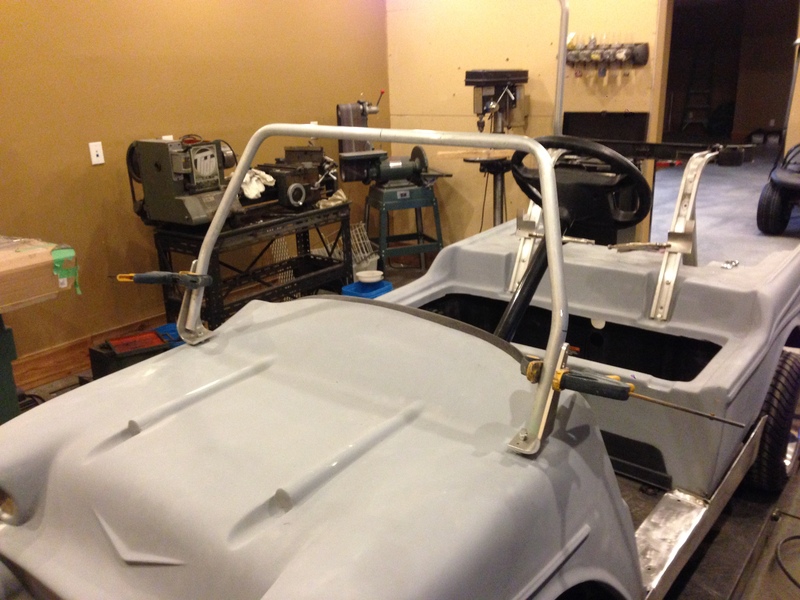 And the other is with a custom half windshield. For when it is convertible mode. 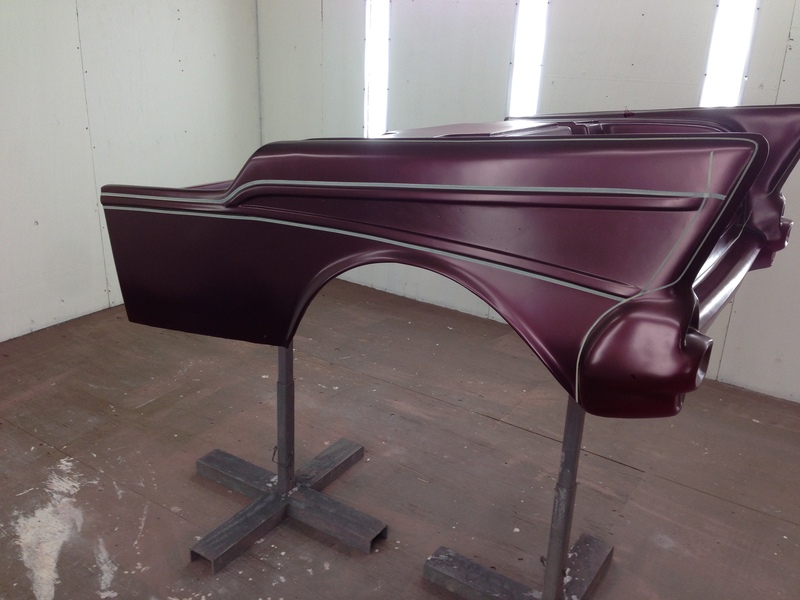 We even added a curved lower bar to mimic the real Belair windshield. 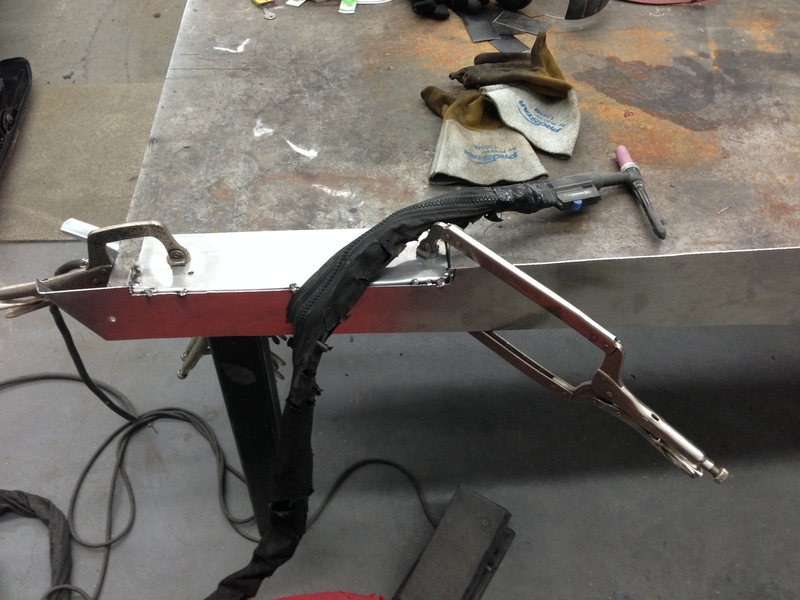 Next we fabricated some custom seat back mounts to accept the Precedent seat back. 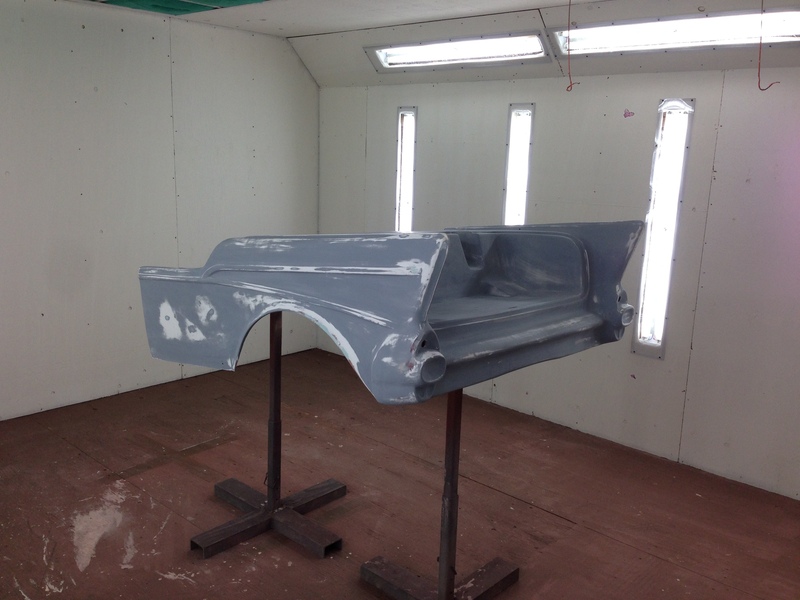 With all the fabrication work done, it was time to start in on the bodywork. 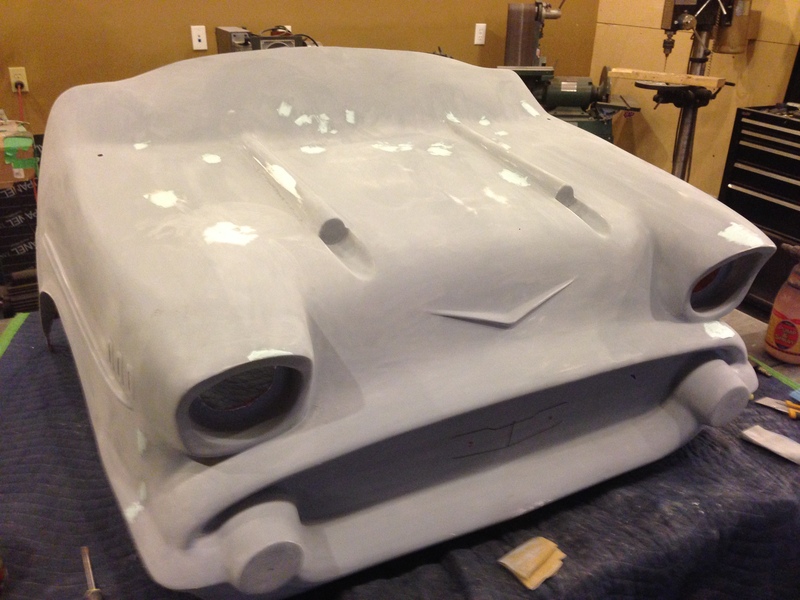 After a lot of sanding, filling, sanding and filling the body was finally ready for some sealer. Into the booth! 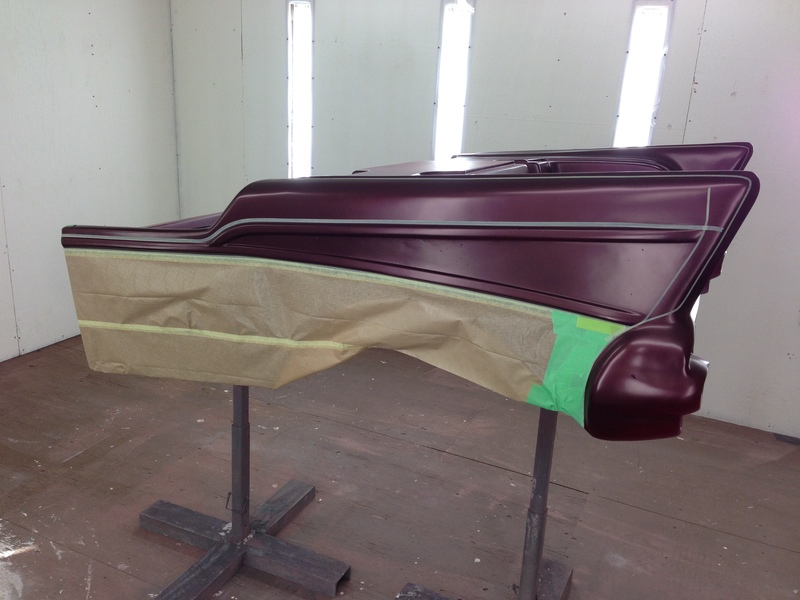 Here the body is in sealer. Next the House of Kolors Kandy brandywine paint was laid down. 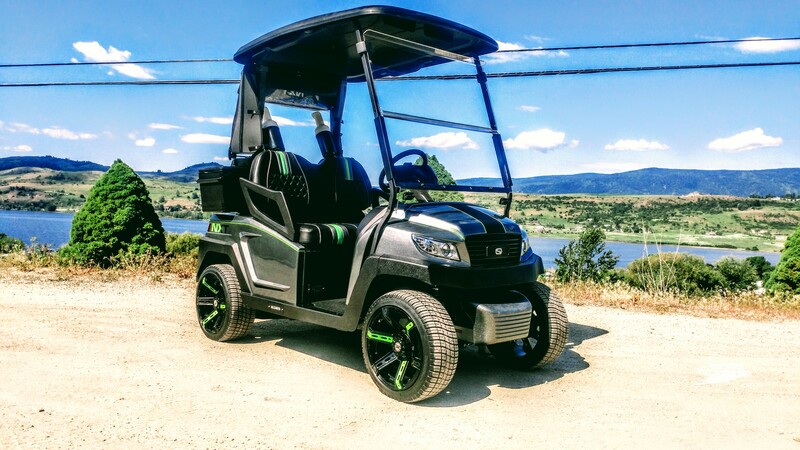 What a great color for this classic cart. and yes even more masking. 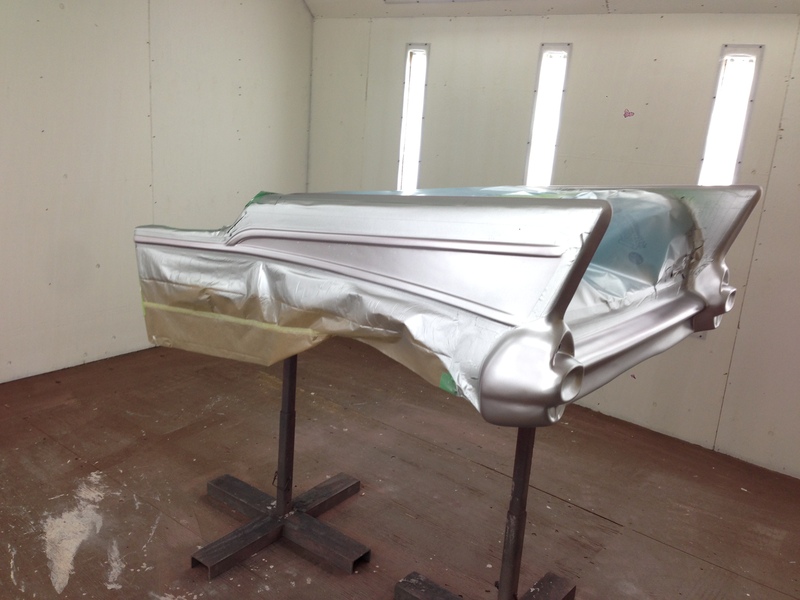 Finally it is all masked up and ready to get the custom House of Kolor silver metallic paint for the “chrome” trim pieces. You can see how awesome this silver color looks. And here it is, this makes all that masking worthwhile. 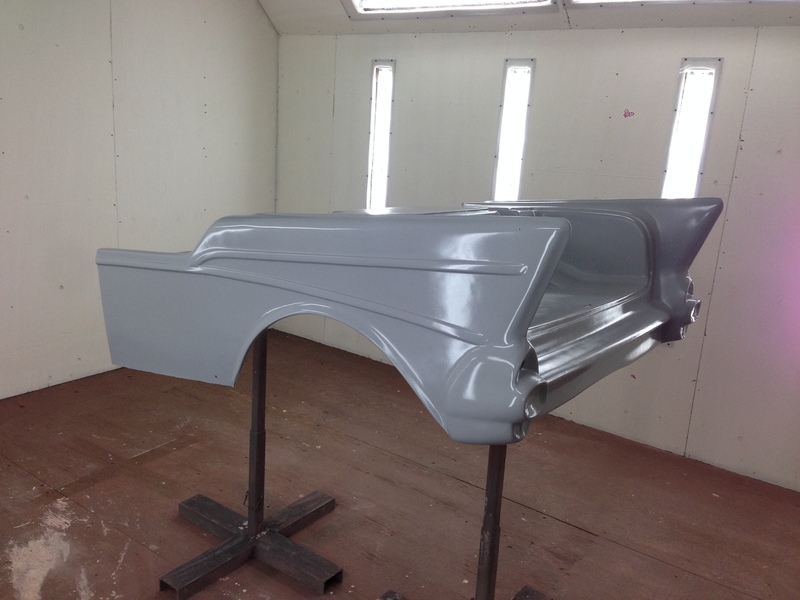 Next we laid down three wet coats of clear, but we are going to make you wait to see that. Like ground hog day it begins again on the front cowl. The sanding and filling. 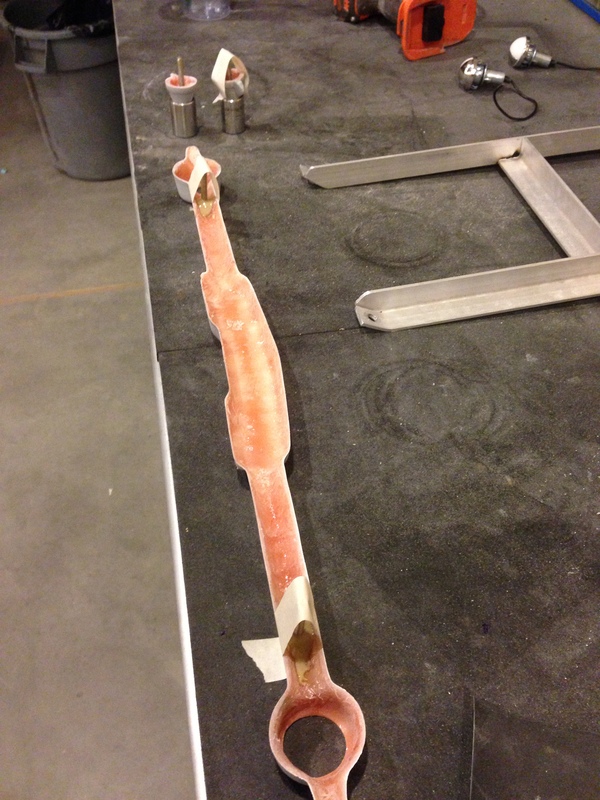 Here we are epoxying in the the bolts that will be holding the various parts to the front cowl. 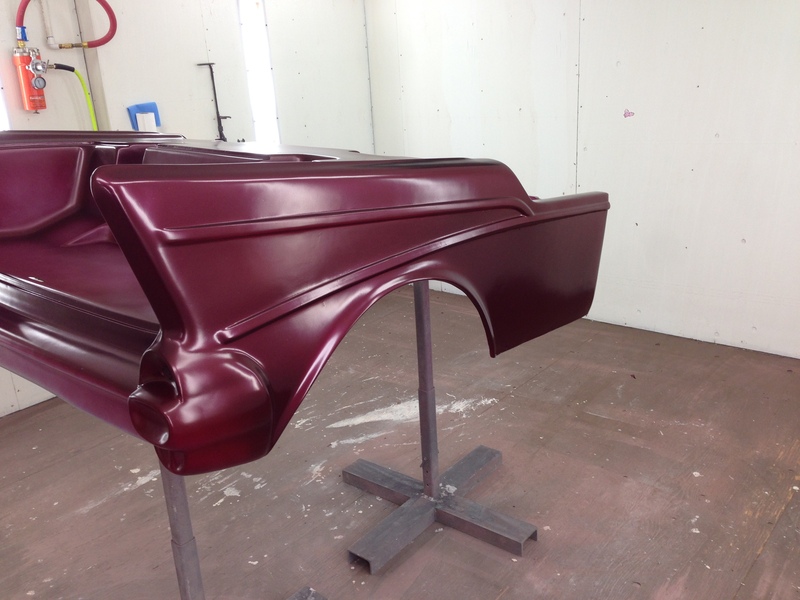 The front bumper cones also get the epoxy treatment. 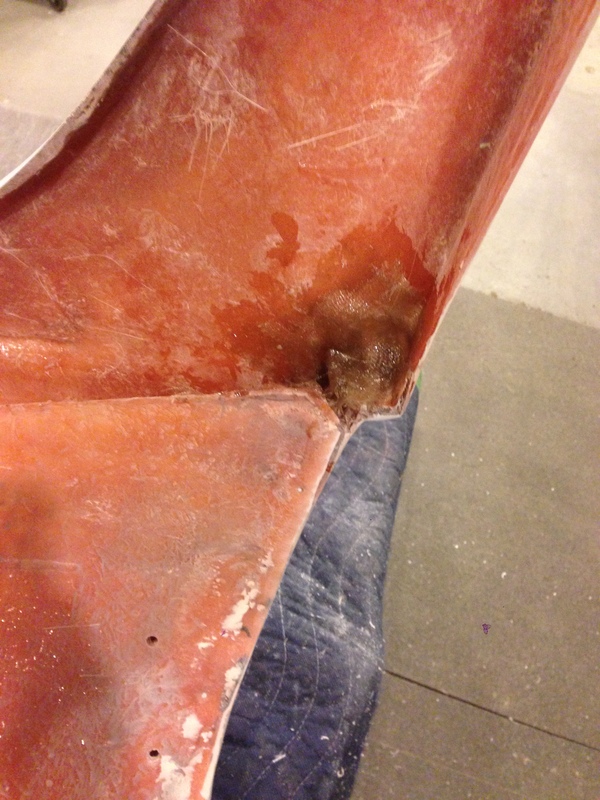 We decided to add some fiberglass reinforcement where the mold juts out. 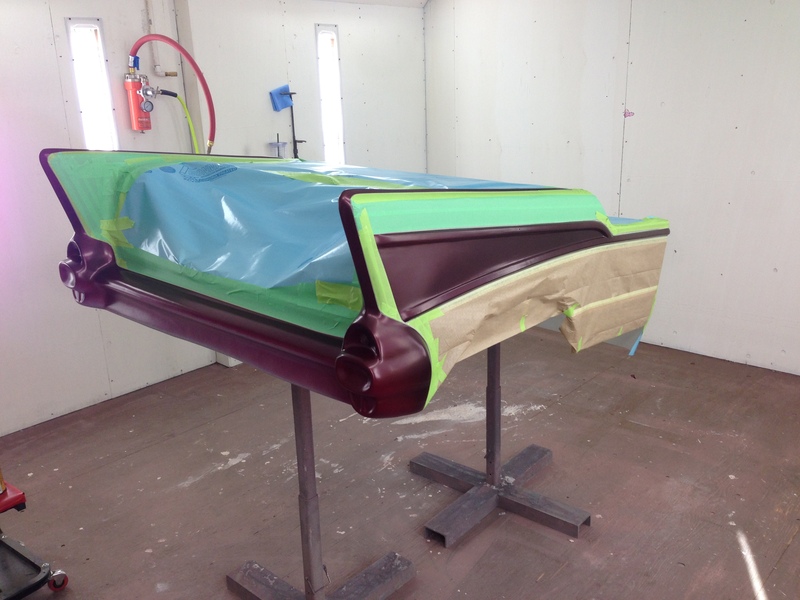 Next we will do a test fit on all the bits and pieces to the front cowl and then it is ready to get in the paint booth for the color treatment. 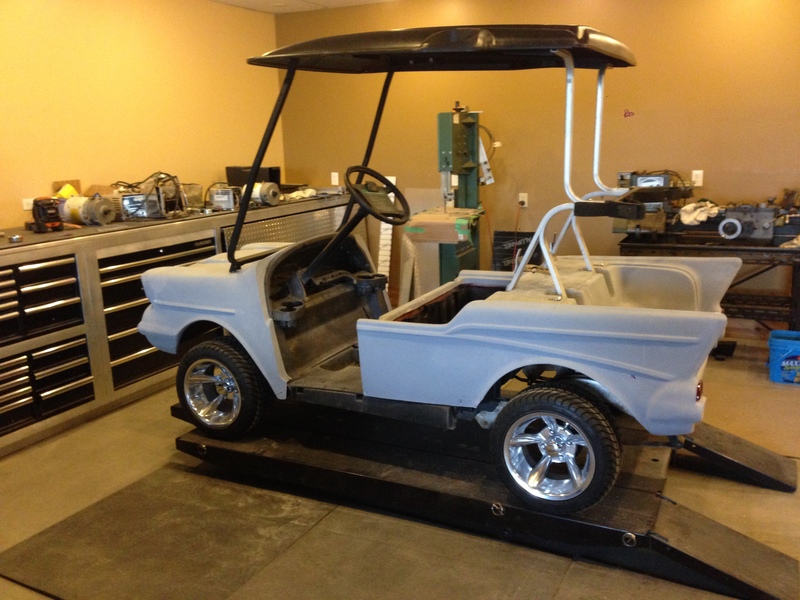 Believe it or not this cart is leaving out shop in 5 days, which only gives us 4 working days to get it finished! 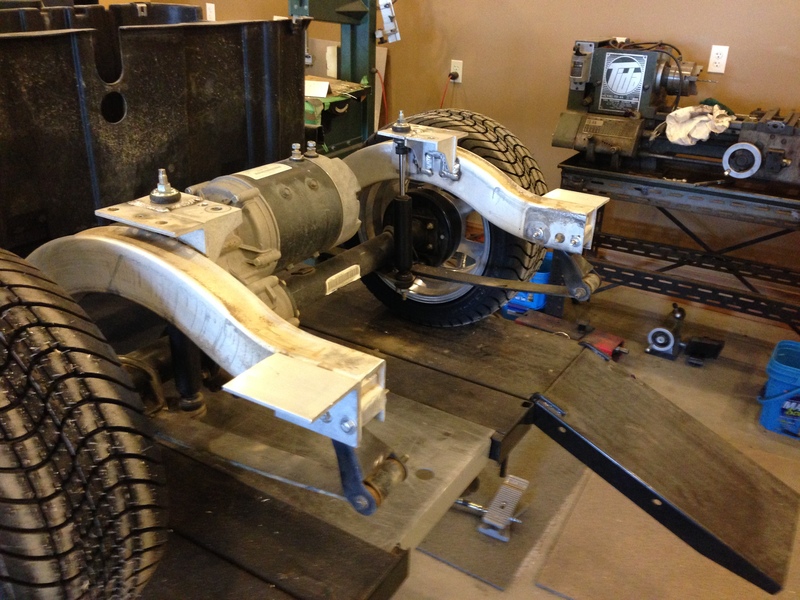 Check out or Facebook page to keep updated as we race the clock to get this machine done. 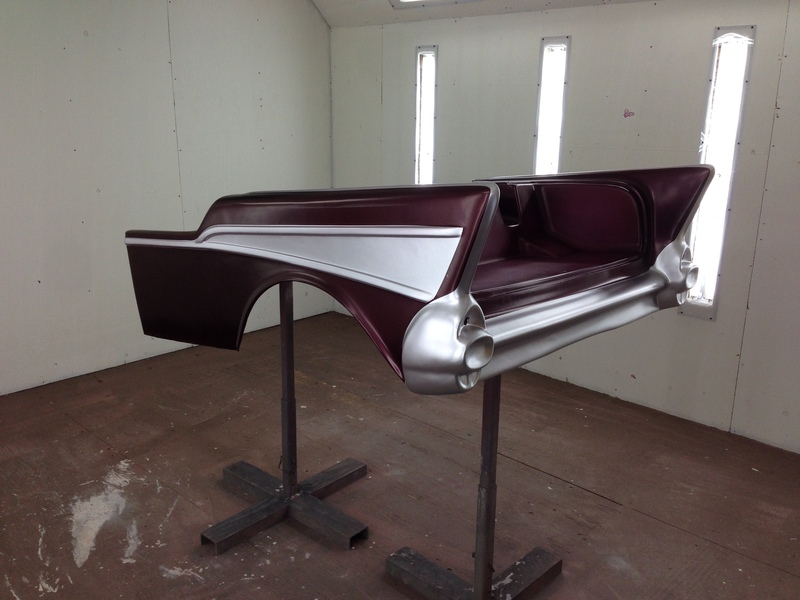 You can see part 3 here of this custom 57 Belair on a Club Car Precedent.